An Istanbul teacher of religious culture and moral knowledge has recently woken up from a months-long coma with multiple fractures as a result of a workplace accident. But he was not at school at the time of the accident as he is among tens of thousands of people who had earlier been dismissed from their jobs under the government’s post-coup emergency rule. Instead he was working as a construction laborer. “He was fired like many of us. He found a job at a construction site. He fell from the seventh floor of the building,” a widely shared tweet reported on the incident late in September. According to other related posts, he worked as a religious culture and moral knowledge teacher at a college in Istanbul’s Merter neighborhood until he was removed from his position by government decree. 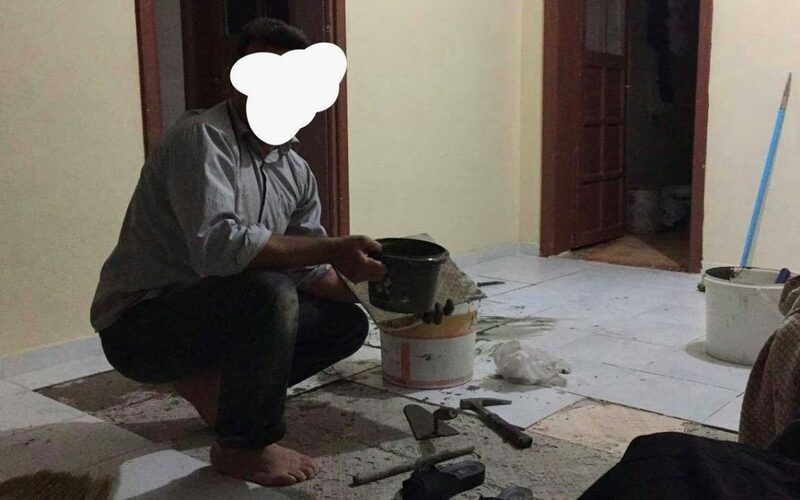 He reportedly moved to the Black Sea province of Samsun to be employed at a construction site. Turkey survived a military coup attempt on July 15 that killed over 240 people and wounded more than a thousand others. Immediately after the putsch, the government along with President Recep Tayyip Erdoğan pinned the blame on the Gülen movement. The movement strongly denies any involvement in the coup attempt. In line with a state of emergency declared in the aftermath of the foiled coup, Turkey sacked some 41,500 from the Education Ministry alone, most of whom were teachers, over their alleged links to the movement or the outlawed Kurdistan Workers’ Party (PKK). Overall, more than 105,000 have been removed from state positions, over 74,000 detained and 35,000 arrested mostly due to alleged links with the coup and the Gülen movement. Arrestees include journalists, judges, prosecutors, police and military officers, academics, governors, housewives and even a comedian.